크루비 주식회사는 (이하 "회사"는) 고객님의 개인정보를 중요시하며, "정보통신망 이용촉진 및 정보보호"에 관한 법률을 준수하고 있습니다. 회사는 아래의 광고사업자가 회사 서비스 내 생성 정보 분석 툴을 통해 온라인상 의 이용자 행태정보를 수집하고, 이용자 대상 맞춤형 광고 서비스 전송 목적으로 이용할 수 있도록 허용하고 있습니다. 회사는 서비스 이행을 위해 아래와 같이 개인정보를 국외로 이전하고 있습니다. 1. 크루비는 고객의 명시적인 수신거부의사에 반하여 영리목적의 광고성 정보를 전송하지 않습니다. 2. 크루비는 고객께서 뉴스레터 등 전자우편 전송에 대한 동의를 한 경우 전자우편의 제목란 및 본문란에 다음 사항과 같이 고객께서 쉽게 알아 볼 수 있도록 조치합니다. 2) 전자우편의 본문란 : 고객께서 수신거부의 의사표시를 할 수 있는 전송자의 명칭, 전자우편주소, 전화번호 및 주소를 명시합니다. 고객께서 수신 거부의 의사를 쉽게 표시할 수 있는 방법을 한글 및 영문으로 각각 명시합니다. 고객께서 동의를 한 시기 및 내용을 명시합니다. 3. 크루비는 상품정보 안내 등 온라인 마케팅을 위해 광고성 정보를 전자우편 등으로 전송하는 경우 전자우편의 제목란 및 본문란에 다음 사항과 같이 고객께서 쉽게 알아 볼 수 있도록 조치합니다. 2) 전자우편의 본문란 : 고객께서 수신거부의 의사표시를 할 수 있는 전송자의 명칭, 전자우편주소, 전화번호 및 주소를 명시합니다. 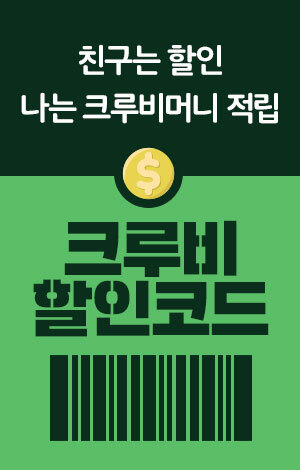 고객께서 수신 거부의 의사를 쉽게 표시할 수 있는 방법을 한글 및 영문으로 각각 명시합니다. 4. 팩스,휴대폰 문자전송 등 전자우편 이외의 문자전송을 통해 영리목적의 광고성 정보를 전송하는 경우에는 전송내용 처음에 "(광고)"라는 문구를 표기하고 전송내용 중에 전송자의 연락처를 명시하도록 조치합니다. The purpose of the following Terms and Conditions of Use(‘T&C’) is to establish guidelines on rights, duties and responsibilities of cybermall Users utilizing the internet-related services (hereinafter referred to as the ‘Services’) provided by the 'CREWBI' (hereinafter referred to as the ‘Mall’) operated by 'Crewbi Incorporated' (e-commerce company). ①‘Mall’ refers to a virtual business site established by Crewbi Incorporated to trade goods or services (hereinafter referred to as ‘Goods and Services’) using computers and information communication facilities to provide Goods and Services to Users. The term can also be defined as a company operating a cybermall. ① The ‘Mall’ shall, for easy recognition by Users, display the contents of this T&C, name of company and representative, business address(including an address handling customer complaints), phone number, fax number, email address, business license number, e-commerce permit number, and the name of personal information manager on the main page of the CREWBI ‘Mall’. Only the content of this T&C can be displayed though a link page.